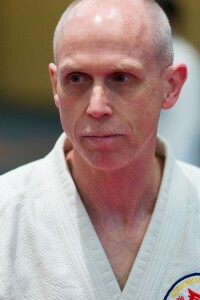 Professor Clive Guth began his Jujutsu study under Professors Sig Kufferath and Tony Janovich in 1981. 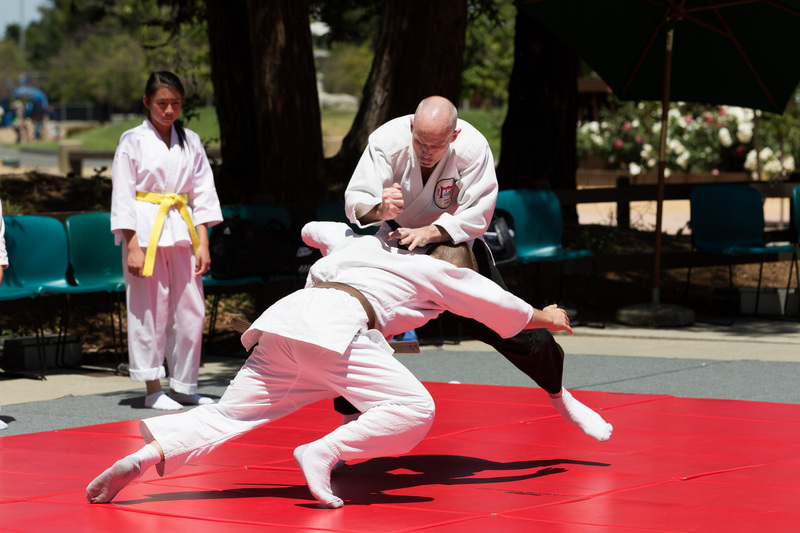 He was one of only two students who started at the original Kodenkan in Santa Clara and who is still active today. Prof. Kufferath was always amazed at Clive’s blinding speed. 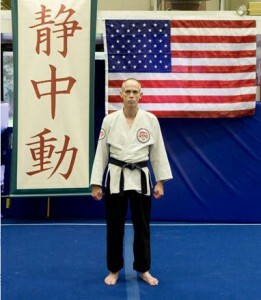 After 24 years of hard training, study and teaching, he earned his 6th Dan. 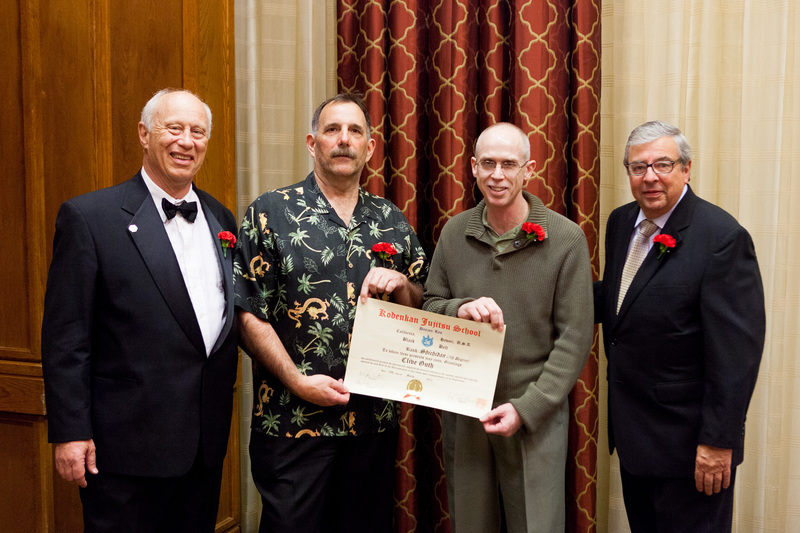 In 2012, he earned his 7th Dan. He graduated from the 1993 Okugi class with the title of Kyoshi (Instructor) and was one of the main technique demonstrators. 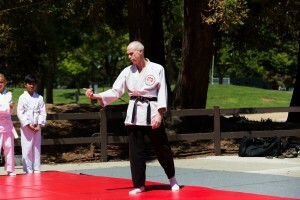 He was also an assistant instructor at the 2003 Okugi, where he received the title of Shihan. As an assistant instructor of the 2013 Okugi, he received the title of Hanshi from Prof. Janovich. Clive was awarded the title of Professor in 2005. 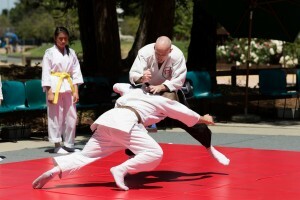 In addition to Jujutsu, he has studied Aikido, Kempo, and Judo. Prof. Guth is the Chief Instructor of the Santa Clara Kodenkan and is instrumental in the over seeing of all testing and rank promotions in the dojo. He is a fine instructor and a valuable asset to the Kodenkan. 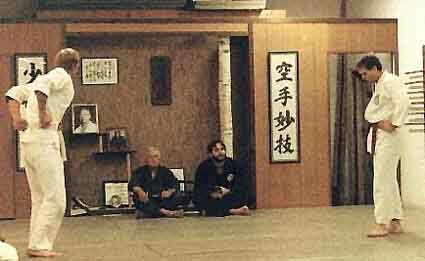 Clive testing for Shodan in 1985 with Profs. Kufferath and Janovich. Uke (left) is Russ Rhodes, white belt taking his blue belt test.